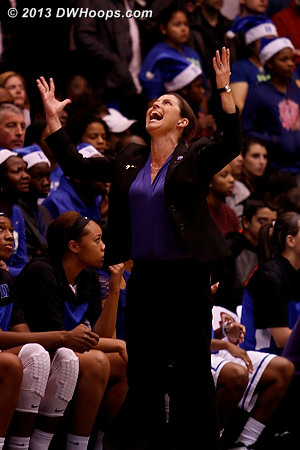 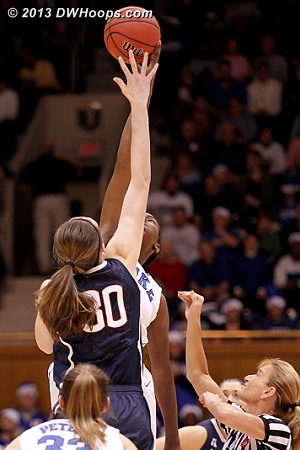 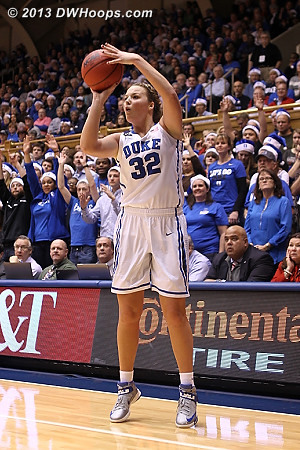 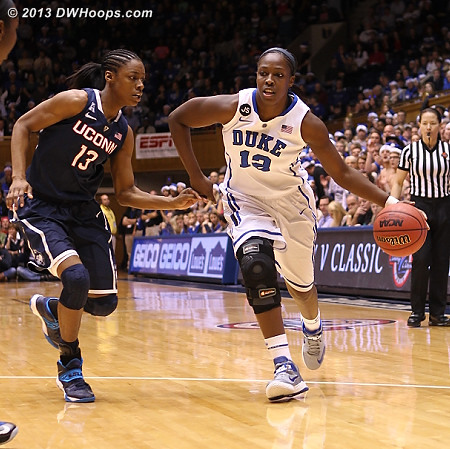 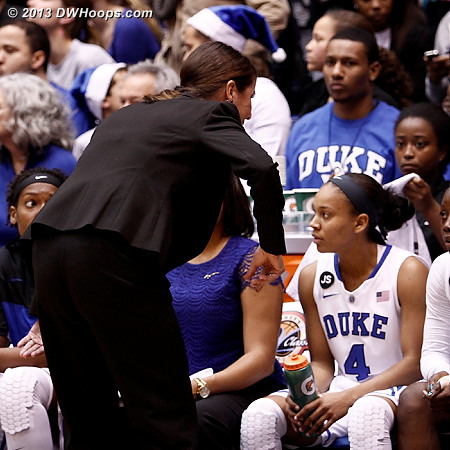 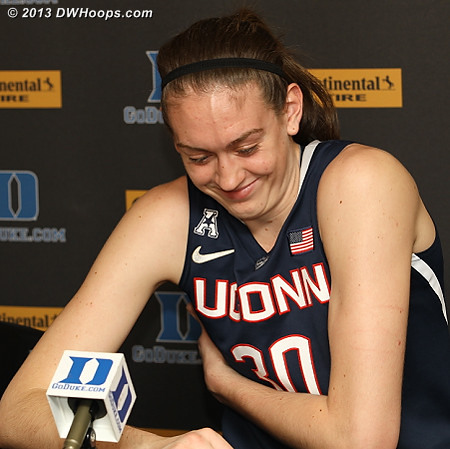 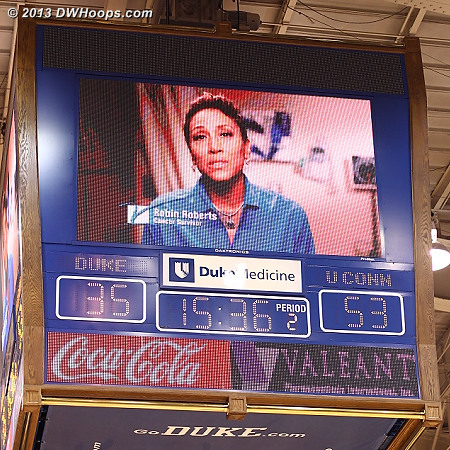 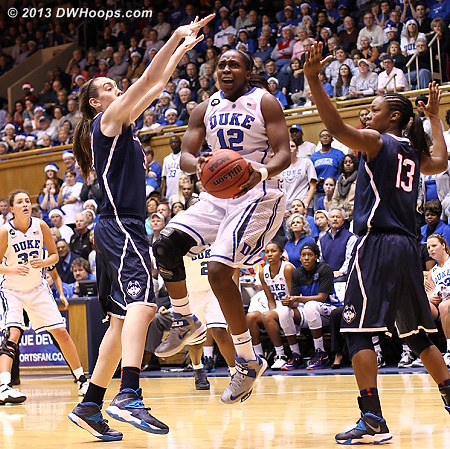 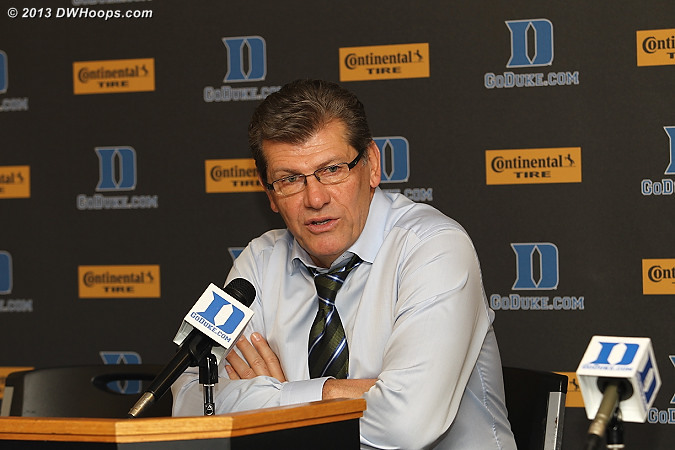 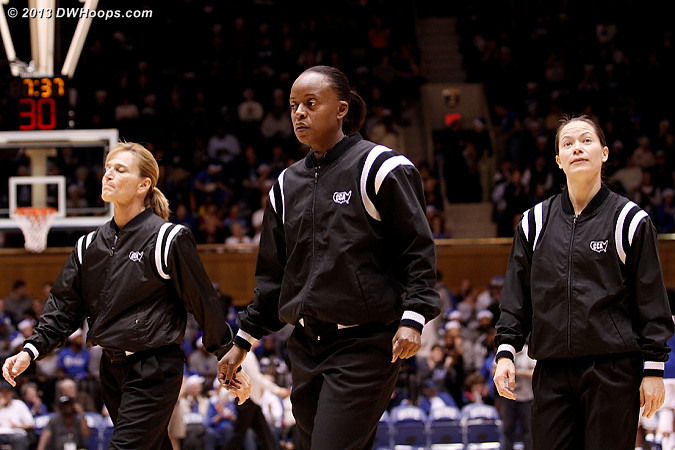 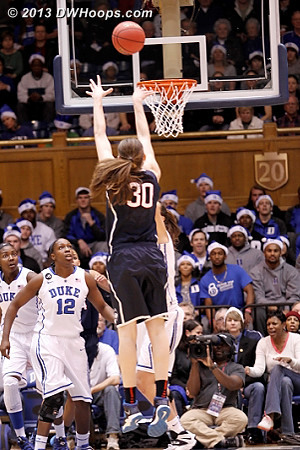 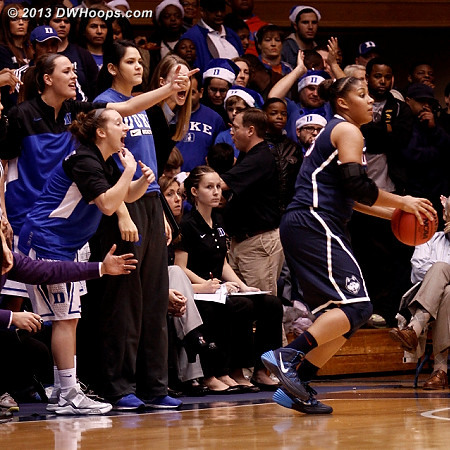 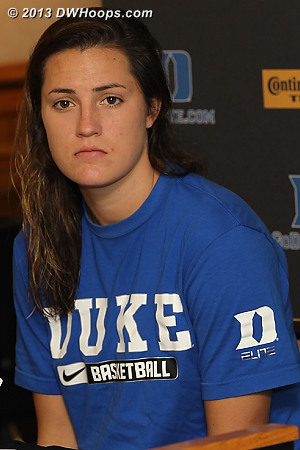 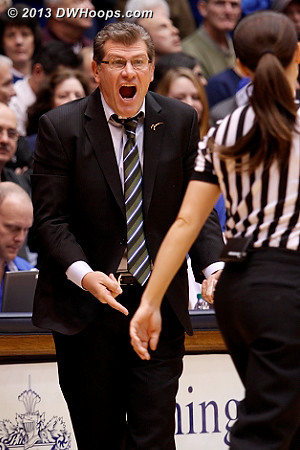 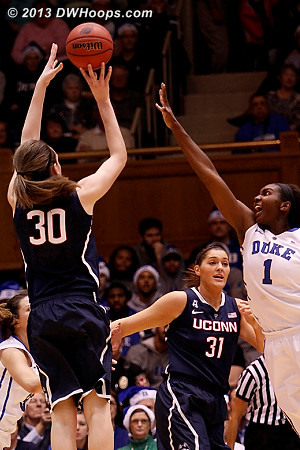 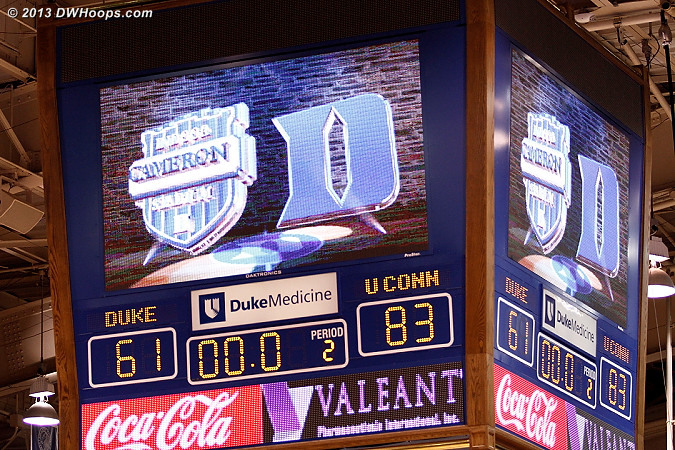 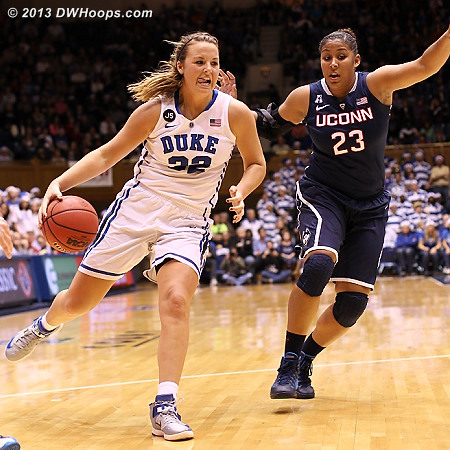 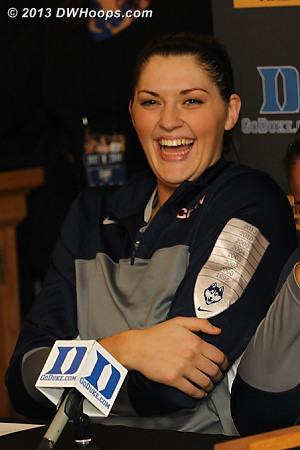 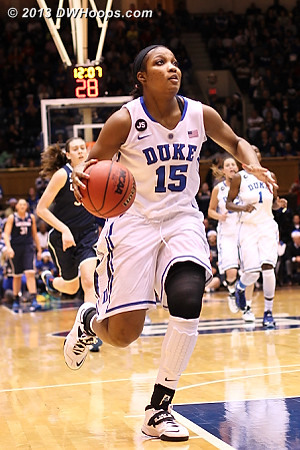 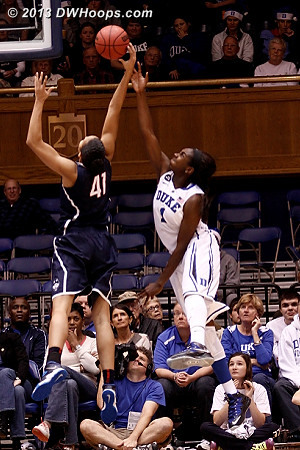 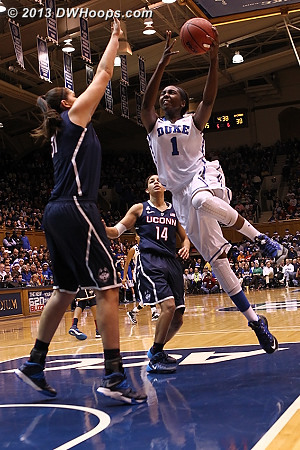 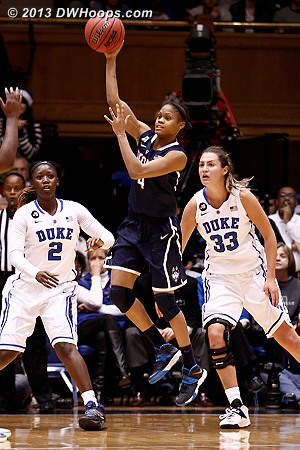 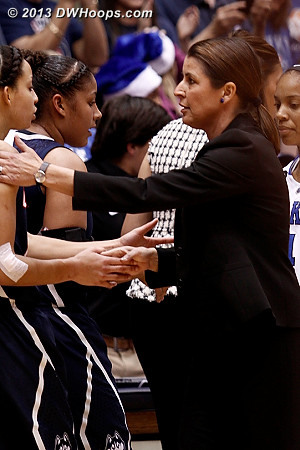 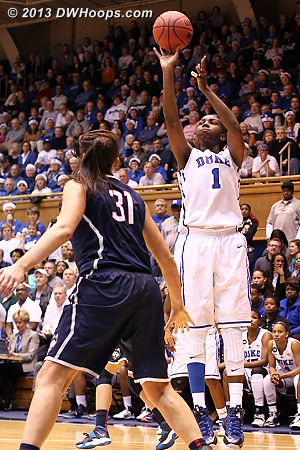 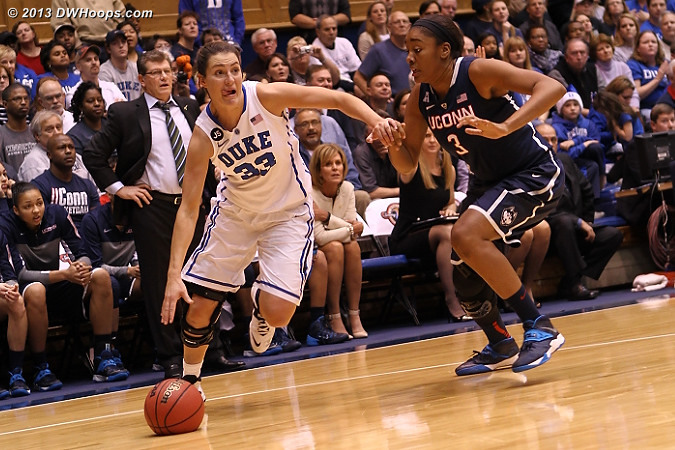 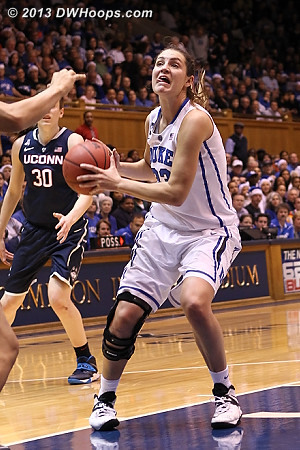 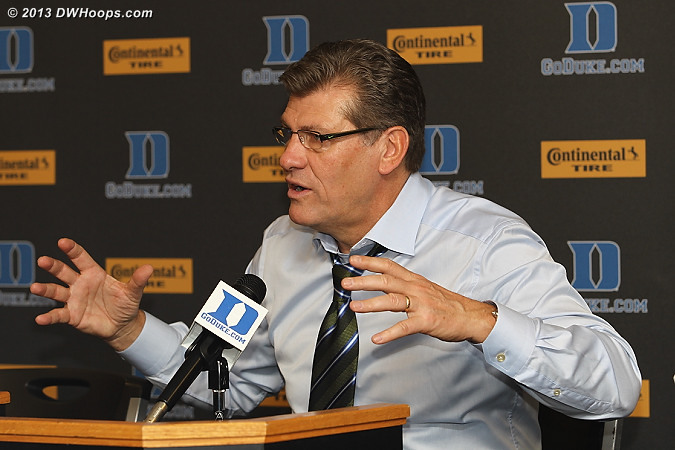 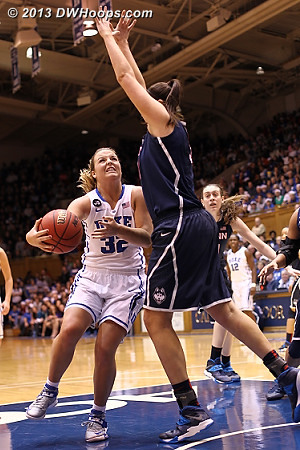 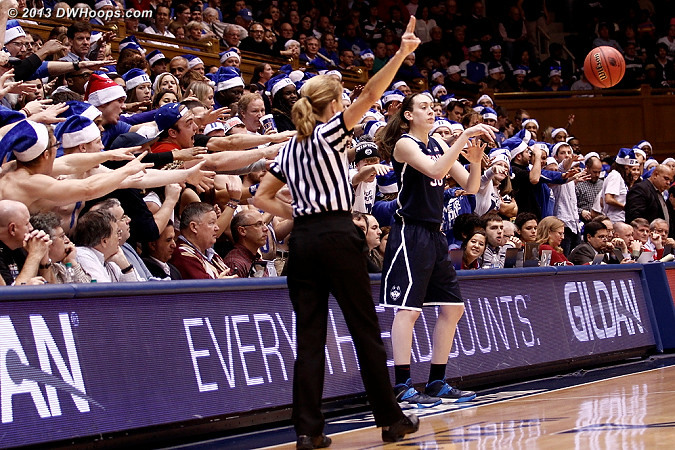 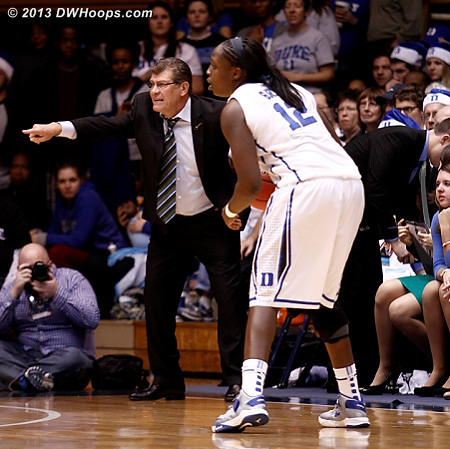 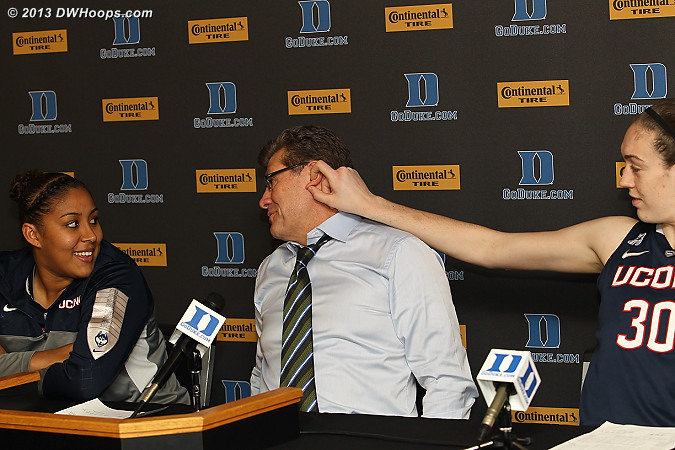 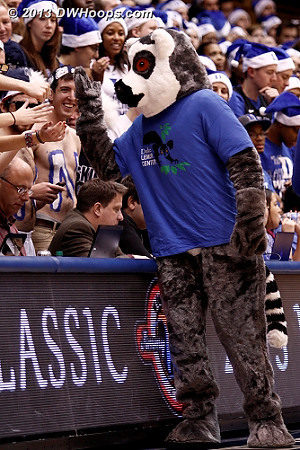 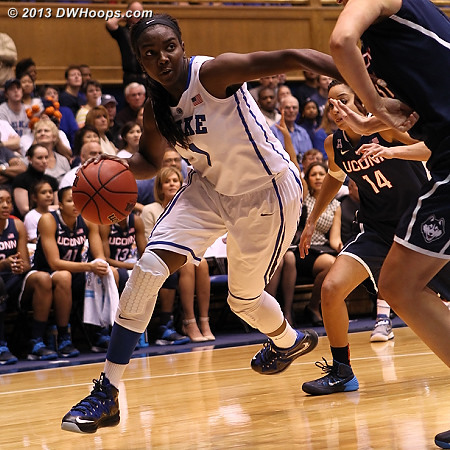 Duke never posed a challenge to UConn's three point shooters. 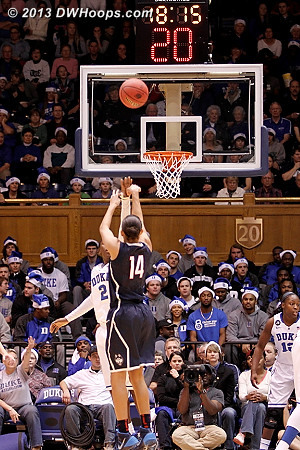 Duke gave up about the same number of baskets to Oklahoma in their prior game, but far fewer threes. 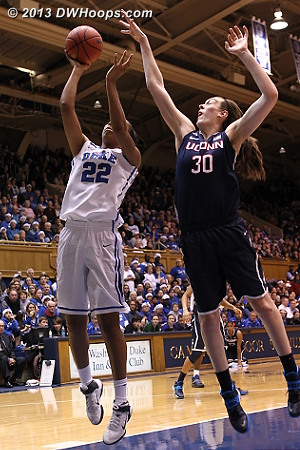 KML assumes her usual (for tonight) wide open position. 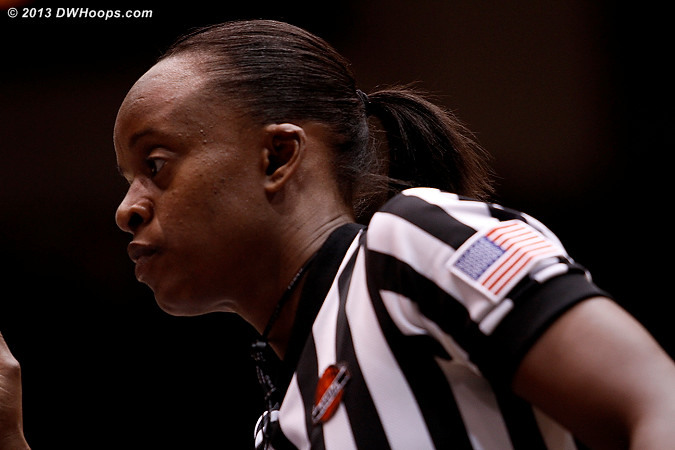 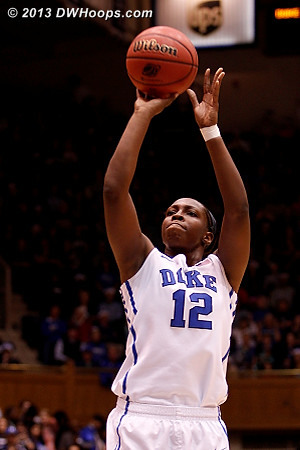 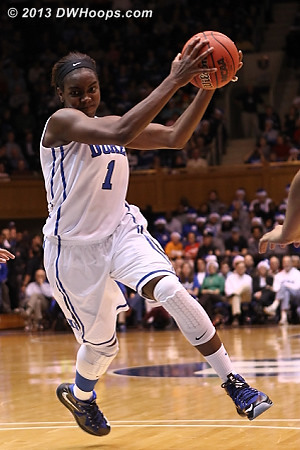 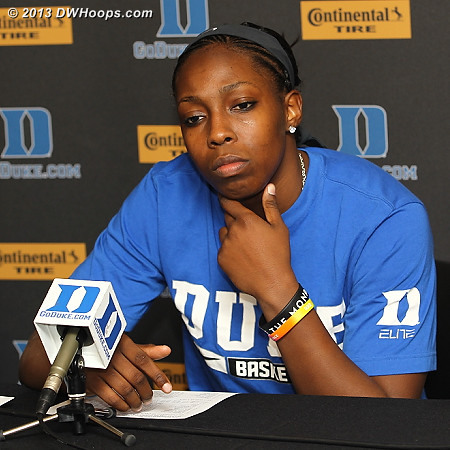 Returning from an elbow injury, she was 7-11 from the field, all threes. 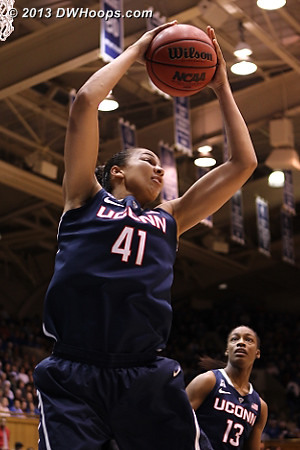 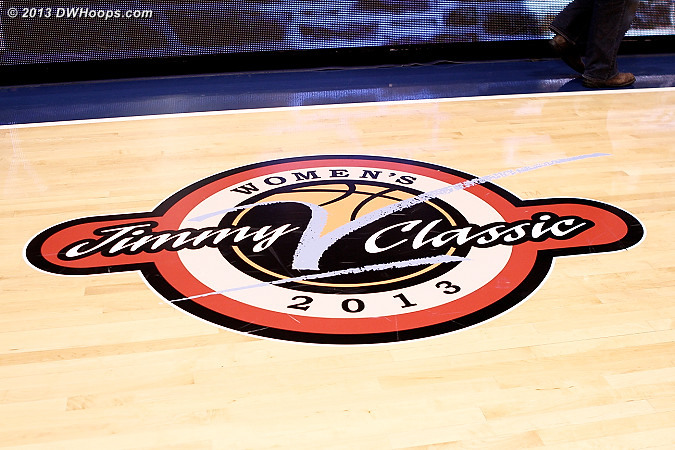 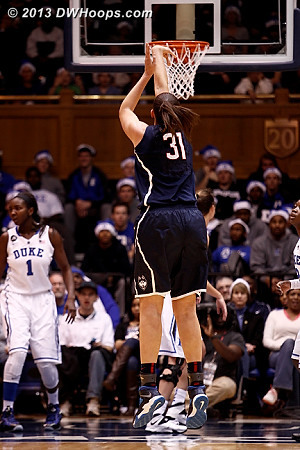 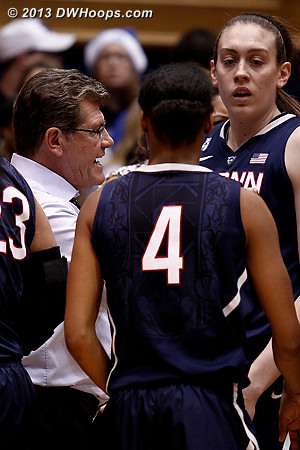 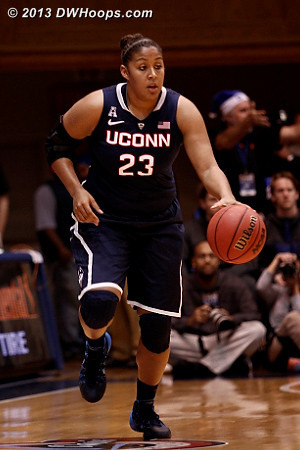 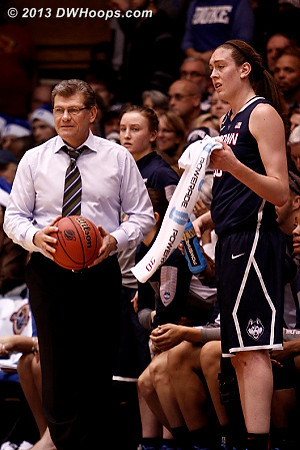 A wide open look for Dolson from three puts UConn up 25-12, on a 17-0 run. 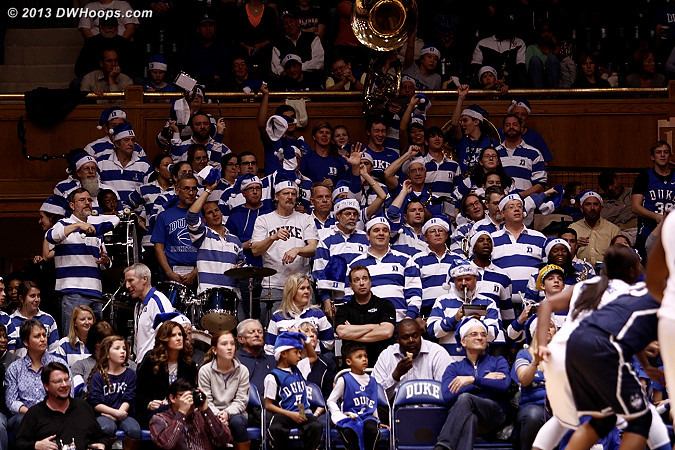 Glad to have the Duke Alumni Pep Band in the house! 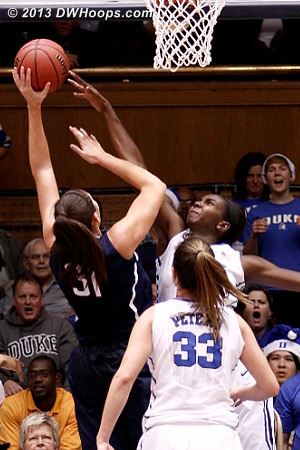 Liston drove past Dolson to cut it to 53-37. 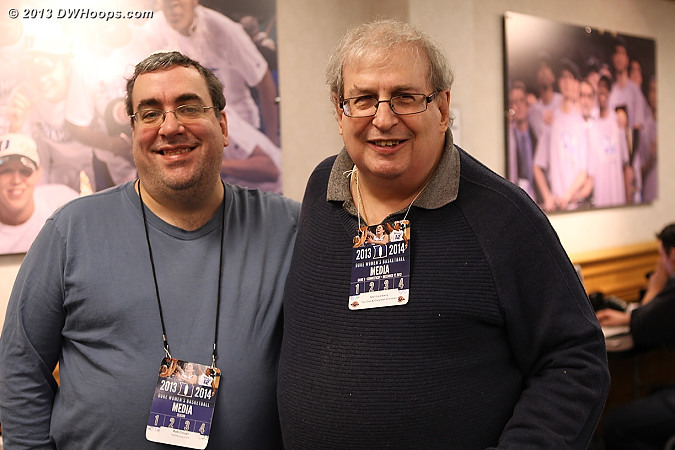 DWHoops' Rob Clough with The Guru himself, Mel Greenberg!